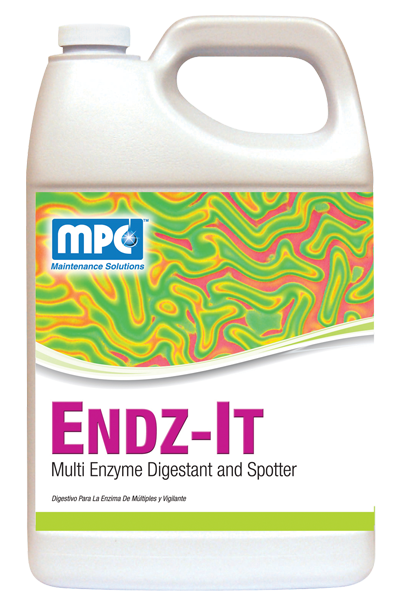 A concentrated suspension of bacterial spores designed for high enzyme production to digest and liquefy solid waste. 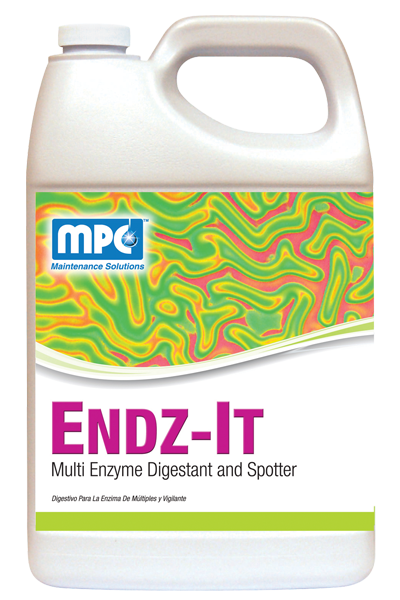 Enzymes such as amylase, protease, lipase, and cellulase are produced and regenerated by this product, thus multiplying the product’s effectiveness. These enzymes degrade starch, carbohydrates, protein, grease, fats, and cellulose. 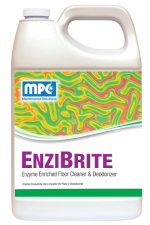 Excellent for spotting stains on all fabrics, toilet bowls and restroom surfaces, grease traps and drains, sewage plants, sumps, septic tanks, and portable toilets. 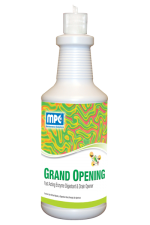 GENERAL DEODORIZING: Spray product directly onto the cause of the odor. In restrooms, spray directly into bowl, then flush. Spray surrounding surfaces to deodorize. LAUNDRY PRESPOTTER: Spray soils and stains with product before washing. 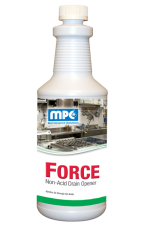 GREASE TRAPS: Pour 5 – 10 ounces of product down drain closest to grease trap daily. It is best to apply product when drain will not be used for a period of time such as overnight. DRAIN LINES: Use 4-6 ounces twice a week to keep drain lines clear. SEPTIC TANKS: Add 1 quart for initial treatment. Use 6 ounces per week thereafter by flushing down toilets. PORTABLE TOILETS: Add 1 gallon directly into toilet. Repeat every time toilet is emptied. NOTE: Do not use with disinfectants, hot water, or chlorine bleaches.